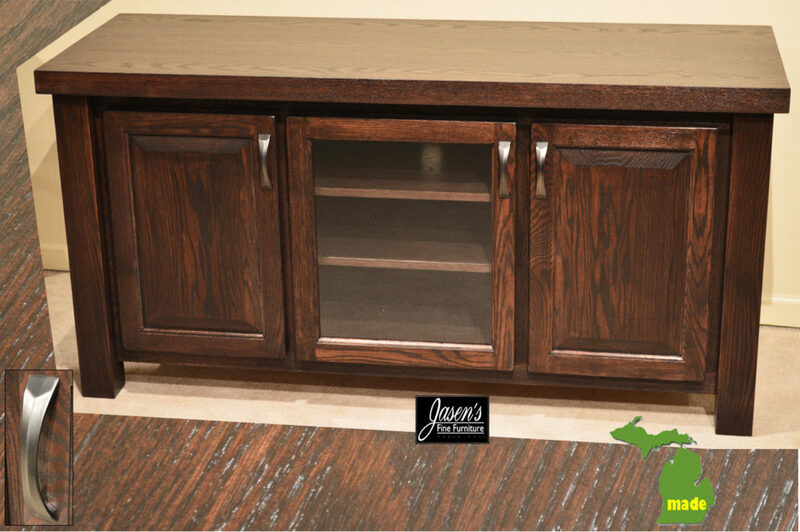 Michigan Western TV Stand features bold yet modern style. The TV stand’s most noteworthy feature is it’s thick top and post legs. Styling from Western and Southern furniture consequently influence the style. The TV stand features ample storage, yet modern, clean lines. The two inch built up top is bold while it compliments the three inch post legs! The stain is an Espresso color consequently adding to the boldness. Hardware used on the Western is modern yet fits the style. The stain, wood specie, hardware, size and configuration are also customizable. Purchasing Michigan made products hence doubles the efficiency of the Michigan economy!